Electricity legislation and policy in Portugal is defined at both a national level as well as the level of the European Union. strengthening the external dimension of the EU energy market. Regarding European Union legislation, the main instruments are Directive 2009/72/EC of the European Parliament and of the Council of 13 July 2009, which sets out common rules for the internal market of electricity, and Directive 2009/28/EC of the European Parliament and of the Council of 23 April 2009, which promotes the use of energy from renewable sources. Also relevant is Directive 2012/27/EU of the European Parliament and of the Council of 25 October 2012, on energy efficiency. contribute to the increase in the economy’s competitiveness, through reducing consumption and costs associated with the management of companies and home economics, freeing resources to stimulate internal demand and new investments. The main legislative instruments for the electricity sector are Decree-Laws Nos. 29/2006 of 15 February (which establishes the general framework for the organisation and functioning of the Portuguese electricity system - SEN) and 172/2006 of 23 August (which regulates the legal regime applicable for pursuing the activities of generation, transmission, distribution and supply of electricity and for the organisation of electricity markets), which were last amended, respectively, by Law No. 42/2016 of 28 December and Decree-Law No. 114/2017 of 29 December. Under the Portuguese electricity market framework, activities relating to generation, supply and management of organised markets are liberalised and only require previous compliance with a licensing or authorisation or registration process. Transmission, distribution and supply of last resort are regulated activities provided through the award of licences or concessions. Furthermore, transmission and distribution of electricity are subject to an unbundling regime, whereby: the company that operates the electricity national transmission network (TSO) may not integrate any group of companies dedicated to the generation or supply of electricity or natural gas; and operators of distribution networks (DSO) must be independent from a legal, organisational and decision-making process standpoint from other activities unrelated to distribution. Distribution companies that serve fewer than 100,000 clients are not subject to the legal unbundling regime, but they must still implement accounting and functioning unbundling measures. It is also worth noting that the wholesale of electricity in Portugal is organised through an Iberian (ie, comprising Portugal and Spain) integrated electricity market, MIBEL. MIBEL operates with an electricity spot market, which includes daily and intraday markets that are managed by a Spanish market operator, Mercado Ibérico de Energía - Polo Español, SA (OMEL), and an electricity forward market that is managed by a Portuguese market operator, Pólo Português, SGMR, SA (OMIP). Wholesale of electricity may also be performed through other means, such as bilateral power purchase agreements and procurement of electricity or derivative electricity instruments in non-regulated platforms. Electricity generators can also participate in system service markets for the sale of electricity or electricity capacity (with the purposes of ensuring reliability and security in electricity supply). In general terms, any person wishing to set up an electricity generation plant in Portugal will be subject to a prior control procedure, whether informing the licensing entity of such intention or requesting the attribution of a generation licence. The permit entitles the applicant to proceed with the construction of the power plant, provided that a construction licence is issued by the relevant municipality and all applicable legal regimes with regards to environmental impact, waste or hydric resources are complied with. The applicant is required to attach several documents to the communication or request, namely and when applicable, an environmental impact statement. Following the successful obtainment of the relevant permit and the construction of the power plant, the owner shall request an inspection of the facilities and the attribution of an operation licence, which authorises the commencement of the power plant’s industrial operation. If generation is carried out under a ‘special regime’ of electricity generation (notably through renewable energy sources or co-generation) with guaranteed remuneration (such as a feed-in tariff), the promoters must be selected upon the conclusion of a public tender procedure or a proceeding that allows any interested parties that comply with the applicable requirements to be established, as per fair and transparent criteria, determined by the ministry responsible for the energy sector. The promoter must then request a network interconnection point to be allocated by the network operator. Once the network interconnection point is secured (which may entail the provision of a bond), the aforementioned licensing formalities apply. Access to transmission and distribution networks of electricity must be regulated through objective, transparent and non-discriminatory criteria, in order to ensure all market participants have the same opportunities and promote competition between the industry’s players. payment of the applicable tariffs. Despite the principle of equal treatment and opportunities for all users and for the purposes of ensuring an efficient use of energy sources available at each given moment, both the TSO and the DSOs are bound to grant priority access to the grid for electricity generated using renewable energy sources (RES) (except for electricity generated by hydropower plants with an installed capacity greater than 30MW). Also, network operators must implement adequate measures aiming to prevent or minimise limitations to the transmission and distribution of electricity generated using RES. Additionally, in general terms, applicants who wish to install a power plant shall be granted a generation licence (and proceed with the plant’s construction and operation) only if the relevant network operator confirms that there is enough grid capacity for such project. If the electricity is not purchased under the terms of a power purchase agreement entered into by and between the generator and the supplier of last resort, a grid use agreement must be executed between the generator and the relevant grid operator. Following the enactment and transposition of several European Union directives on renewable energy, Portugal has been committed to the promotion of renewable energy through economic incentives attributed to renewable energy generation and the setting of mandatory national targets for the overall share of energy and for the share of energy from renewable sources in transportation. Economic incentives to renewable energy generation were established through feed-in tariffs from which renewable generation plants were able to benefit, as per the provisions of Schedule II of Decree-Law No. 189/88 of 27 May (as amended). This statute set out a specific formula for calculating the tariffs to be paid to generators, for the electricity generated by power plants using renewable energy (excluding large hydropower plants), that initiated their licensing procedure prior to the entering into force of Decree-Law No. 215-B/2012 of 8 October. Co-generation (combined generation of heat and electricity) also benefits from a favourable remuneration regime although through other statutory provisions. Renewable energy generators benefiting from feed-in tariffs also enjoy priority over conventional generators in dispatching their energy to the grid and the guarantee that electricity generated is purchased by an offtaker at the feed-in tariff rate. there is currently no applicable feed-in tariff for renewable generation plants with generation licence granted after 9 April 2013 (as the relevant legislation has not yet been enacted), with the exception of renewable co-generation and small scale generation. Regarding, on the other hand, renewable energy targets, Decree-Law No. 141/2010 of 31 December, as amended by Decree-Law no. 68-A/2015, of 30 April (transposing Directive 2012/27/UE into national law) established national targets for renewable energy in gross final consumption of energy and for the share of energy from renewable sources in transportation. The main policy instrument enacted for the purposes of fighting climate change is Resolution of the Council of Ministers No. 56/2015 of 30 July, which approved the Strategic Framework for Climate Policy, the Climate Change National Programme and the National Strategy for Climate Change Adjustment. This Resolution, among other things, also determined that Portugal must reduce its greenhouse gas emissions from 18 per cent to 23 per cent by 2020 and from 30 per cent to 40 per cent by 2030, both calculated on the basis of the 2005 levels, contingent on the results of European negotiations. The Resolution also set the following targets, in line with the commitments assumed by Portugal and the European Union under the Kyoto Protocol: an increase in the proportion of renewable energies in final energy consumption of 40 per cent and an increase in energy efficiency through a reduction of 30 per cent over the baseline energy in 2030, which translates into an energy intensity ratio of 101 tep/per M€ of gross domestic product. In addition, Portugal has transposed Directive 2009/29/EC of the European Parliament and of the Council of 23 April 2009 concerning the greenhouse gas emission allowance trading scheme of the Community into law (Decree-Law No. 38/2013 of 15 March). Revenues from auctioning of said greenhouse gas emission allowances for the promotion of renewable energies are regulated by Ministerial Order No. 3-A/2014, and include compensation for renewable energy ‘overcosts’ in the tariff system and the funding of the Environmental Fund (a government-sponsored scheme that, among other things, has the ability to financially support renewable energy and energy efficiency projects). Although pumped hydro storage has existed in Portugal for several decades and battery storage is expected to gain traction in the near future, energy storage is not directly regulated under the main legislative bodies of electricity regulation (notably Directive 2009/72/EC and Decree-Law No. 29/2006 of 15 February). Also, no specific research and development incentives for energy storage are attributed pursuant to the electricity regulatory framework in Portugal. Portugal does not generate energy from nuclear energy sources and its only nuclear reactor has been built and is operating for investigation and education purposes only. There has been an ongoing public debate in Portugal (notably in the 1970s and in the first decade of the third millennium) regarding the merits and disadvantages of having nuclear power and in particular in pursuing the construction of a nuclear power plant, but no project ever came to fruition and apparently no licences for such purposes were attributed. Notwithstanding the multiple international treaties Portugal is a party to regarding the use of atomic energy (notably the EURATOM treaty), there is currently no specific government policy towards encouraging or discouraging the promotion of nuclear energy. Electricity transmission is carried out through the national transmission network; rights to construct and operate the national transmission network are exercised under an exclusive concession granted by the Portuguese government for a 50-year period (currently until 2057). The incumbent TSO is REN - Rede Eléctrica Nacional, SA (REN), a subsidiary of REN - Redes Energéticas Nacionais, SGPS, SA. Portuguese law establishes a certification procedure for the transmission system operator (in order to ensure compliance with unbundling obligations), which is carried out by the Portuguese Regulatory Authority for Energy Services (ERSE). On 9 September 2014, ERSE issued a decision certifying that REN complies with the relevant legal requirements to be considered a transmission system operator compliant with unbundling obligations, subject to the conditions set out therein. coordination with the planning of the networks which are interconnected with the national transmission network (including neighbouring networks). joint measures adopted by the Agency for the Cooperation of Energy Regulators and European Network of Transmission System Operators for Electricity, notably the non-binding 10-year plan for a European-wide transmission network. PDIRT is subject to public consultation, prior opinion of ERSE, discussion by the Parliament and approval by the member of government responsible for energy affairs. The TSO must provide non-discriminatory and transparent access to the transmission network. In fact, the legal unbundling criteria approved by Portuguese law eliminate and prevent the risk of discrimination with regards to transmission network access. Access to the networks and interconnections is automatically recognised for any interested entity upon completion of the connection of the relevant installation to the network, which in itself may be subject to licensing procedures. At the moment there are no such government policies to encourage or require expansion of the transmission grid. As a matter of fact, taking into account the economic and financial constraints the country faced at the start of the decade coupled with efforts made to reduce the tariff deficit of the SEN, government policy has been working the other way around (ie, curbing expansion in the transmission network) for the purposes of keeping network access tariffs down. This effort to curb expansion in the transmission network in order to restrict increases in network access tariffs is evident in the opinions of ERSE regarding the latest PDIRTs. Transmission activity is subject to ERSE’s regulation, which determines the tariffs applicable to the provision of such services by the TSO. The determination of such tariffs must comply with certain legal principles that, in particular, aim at guaranteeing transparent and efficiency-driven pricing, as well as the protection of electricity consumers and equality of treatment. The methodology for the calculation of the mentioned tariffs is approved by ERSE’s Tariff Regulation of the electricity sector. The entity responsible for ensuring grid reliability is the TSO. To achieve this goal the TSO uses its attributions as the global manager of SEN, notably through its functions of system technical management, system services procurement and market-making, energy planning and transmission network planning. Electricity distribution occurs through the national distribution network, consisting of a medium- and high-voltage network, and through the low-voltage distribution networks. Currently, the national distribution network is operated through an exclusive concession granted by the Portuguese state. This exclusive concession for the activity of electricity distribution in high and medium voltage levels is held by EDP Distribuição, a subsidiary of EDP - Energias de Portugal, SA, pursuant to article 70 of Decree-Law No. 29/2006 of 15 February, as a result of converting the licence held by EDP Distribuição under the former regime into a concession agreement, which was signed on 25 February 2009, for a 35-year term. The terms of the concession are set forth in Decree-Law No. 172/2006 of 23 August. The low-voltage distribution networks continue to be operated under concession agreements granted by the municipalities. Layout and expansion of the national distribution network is based on a five-year plan (reviewed every two years) for development and investment of the network, which takes into account and facilitates measures of demand management and electricity distributed generation. requests for buttressing of the delivery capacity presented by concessionaires of low-voltage networks and generation licences, as well as other grid connection requests by generation facilities. PDIRD is subject to public consultation, prior opinion of ERSE, discussion by the Parliament and approval by the member of government responsible for energy affairs. Access to the distribution network must be regulated through objective, transparent and non- discriminatory criteria, in order to ensure all market participants have the same opportunities and promote competition between the industry’s players, pursuant to the regulations put into force by ERSE regarding access to the networks, infrastructures and interconnections. As such, all entities which are considered market participants in the SEN (in particular generators, suppliers and consumers of electricity) will be eligible to access the distribution network. As a consideration for the access to regulated infrastructures, users must pay access tariffs, which are determined by ERSE on an annual basis and must be equal for all categories of users. No. As for the transmission network, government and regulatory policy (notably feedback to the distribution network plans prepared by the distribution network operator) has been directed at restraining expansion of the distribution network to ensure that increases in network access tariffs are also limited. Distribution activity is subject to ERSE’s regulation, which determines the tariffs applicable to the provision of such services by the DSO. The determination of such tariffs must comply with certain legal principles that, in particular, aim at guaranteeing transparent and efficiency-driven pricing, as well as the protection of electricity consumers and equality of treatment. The methodology for the calculation of the mentioned tariffs is approved by ERSE’s Tariff Regulation of the electricity sector. Electricity supply is open to competition, subject only to a registration regime before the DGEG. Suppliers may freely buy and sell electricity. For this purpose, they have a right of access to the national transmission and distribution networks upon payment of access tariffs set by ERSE. As required by the Electricity Directive, the Electricity Framework also establishes a last-resort supplier that is subject to licensing by DGEG and regulation by ERSE. The last-resort supplier is responsible for the purchasing of all electricity generated by special regime generators which benefit from a guaranteed remuneration scheme (ie, feed-in tariff), and for the supply of electricity to customers who purchase electricity under regulated tariffs, and is subject to universal service obligations. The last-resort supplier is expected to exist until the free market is fully competitive. There are tariffs concerning sales of electricity by a supplier of last resort, which are subject to extensive regulation. Final customer tariffs applicable to the regulated market are differentiated by voltage level, tariff option and the period of electricity consumption. These tariffs, when set, should be uniform throughout mainland Portugal within each voltage level, subject to specified exceptions based on volume. The price of electricity sold by suppliers operating under a ‘liberalised’ market system is not administratively set and as such said suppliers may define the price they wish. Nevertheless, consumers must also pay network access tariffs and ‘global use of system’ tariffs in addition to the electricity price set by suppliers. In Portugal, the wholesale market for electricity is liberalised and organised at an Iberian level (through the MIBEL), without prejudice of the possibility of market agents entering into bilateral power purchase agreements. Thus, wholesale rates are generally determined by supply and demand, notwithstanding special rules applicable to offtaker purchases and sales of electricity. The offtaker, which is also the supplier of last resort, is obliged to: acquire the electricity generated from renewable and co-generation plants which benefit from a feed-in tariff; and acquire electricity necessary to supply its clients through MIBEL in the quantities and at auctions defined by DGEG. All electricity purchased by this entity which exceeds the amount of power required to supply its clients must be resold in the market. Electricity suppliers must comply with certain public service obligations to ensure the quality and continuity of supply, as well as consumer protection with respect to prices, access tariffs and access to information in simple and understandable terms. As required by Directive 2009/72/EC, Decree-Law No. 29/2006 also establishes a last-resort supplier that is subject to licensing by DGEG and regulation by ERSE. The last-resort supplier is responsible for the purchasing of all electricity generated by special-regime generators which benefit from a guaranteed remuneration scheme, and for the supply of electricity to customers who purchase electricity under regulated tariffs, and is subject to universal service obligations. The last-resort supplier is expected to exist until the free market is fully competitive, as provided for in Directive 2009/72/CE. Responsibility for regulation of the Portuguese energy sector is shared between DGEG, ERSE and the Portuguese Competition Authority, according to their respective functions and responsibilities. The national regulatory authority of the electricity, natural gas and liquefied petroleum gas industries is ERSE, a public entity with administrative and financial independence. ERSE’s bylaws were enacted by Decree-Law No. 97/2002 of 12 April, and amended by Decree-Law No. 212/2012 of 25 September and by Decree-Law No. 57-A/2018, of 13 July. ERSE is in charge of regulation, supervision and sanctioning in the aforementioned sectors, from generation to supply. Recently, Law No. 9/2013, which came into force on 28 January 2013, established the Energy Sector Sanctioning Regime, which substantially reinforced ERSE’s sanctioning competence and powers. Later, Decree-Law No. 84/2013 of 25 June revised ERSE’s bylaws, completing the implementation of Directives 2009/72/EC and 2009/73/EC. Alongside ERSE, the DGEG, a state-administered entity with financial independence, has the task of implementing and developing the state’s policies regarding energy matters and the exploitation of geological resources. As such, and in most cases, the DGEG is the competent entity for granting licences and other administrative authorisations concerning energy related activities, such as generation or exploration licences. The Portuguese Competition Authority enforces rules concerning anti-trust provisions contained in the Treaty on the Functioning of the European Union and in Council Regulation (EC) No. 139/2004 of 20 January 2004. The Portuguese Competition Authority is empowered to fully apply those rules in respect of the economic principle of market economy and free competition, in view of an efficient functioning of the markets, an effective distribution of resources and the interests of consumers. DGEG, although it has ‘legal autonomy’ to execute administrative actions as well as financial independence, is an entity that is part of the central government and therefore may not be considered as being independent. ERSE and the Portuguese Competition Authority, on the other hand, beyond the privilege of legal and financial autonomy, also enjoy full independence (organic, functional and technical) from the central government and have broad supervisory, regulatory and sanctioning powers. Independence of ERSE from the government is only constricted by: approval by the latter of the budget and annual accounts; and the government’s prerogative to establish the general guidelines of energy policy, notably in matters related to security of supply, consumer rights, negotiation and execution of international agreements in the energy area, energy efficiency, environmental sustainability and sustainability of the SEN. Regarding the Portuguese Competition Authority, its independence is limited by (besides applicable legislation) an approval by the government of its budget and annual accounts. Decisions adopted by the regulators can be challenged in general on the grounds of the non-conformity of such decisions with legal or regulatory provisions or with general principles of public or criminal or misdemeanour law (depending on the decision adopted). Decisions of DGEG may be appealed internally and may further be challenged before the administrative courts pursuant to general public procedural law provisions. Decisions of ERSE imposing misdemeanour liability are appealable before a specialised court, the Court for Competition, Regulation and Supervision; other decisions shall be challenged before the administrative courts pursuant to general public procedural law provisions. Decisions of the Portuguese Competition Authority imposing misdemeanour liability or concerning administrative procedures pursuant to the Portuguese Competition Act (such as ‘merger control’ procedures) are also appealable to the Court for Competition, Regulation and Supervision. The regulatory body that has the authority to approve or block mergers or other changes in control over businesses in the energy sector is, in general, the Portuguese Competition Authority. Other entities, such as ERSE and the central government, may also play a role in ‘merger control’ review of energy assets, in particular if such transactions involve the TSO or the DSO (entities subject to unbundling requirements) or to assets considered strategic under the terms of Decree-Law No. 138/2014, of 15 September. the creation of a full-functioning joint venture on a lasting basis, provided that certain market share or turnover thresholds are exceeded. Transactions meeting said thresholds are subject to mandatory notification and cannot be implemented before a non-opposition decision is issued by the Portuguese Competition Authority. A decision by the Portuguese Competition Authority for merger control review must generally be taken within (counting from the date of filing of the corresponding request): 30 business days (if only an ‘initial investigation’ is required); and 90 business days (if an ‘in-depth investigation’ is required). In the investigation, the Portuguese Competition Authority shall assess whether the transaction will cause a ‘material hindrance to effective competition’. If it does, the Authority shall issue a decision prohibiting the completion of the deal (without prejudice of the intervening parties negotiating remedies in order for the transaction to be cleared). The Portuguese Competition Authority is the entity that is primarily responsible for preventing and prosecuting anticompetitive and manipulative practices in the electricity sector. ERSE is in charge of: fostering and ensuring compliance with competition provisions in the electricity sector; and reporting to the Portuguese Competition Authority any anticompetitive practices in the electricity sector of which it has knowledge, and further collaborating with the latter in the corresponding misdemeanour procedure. ERSE must also issue an opinion prior to a decision being taken by the Portuguese Competition Authority on alleged anticompetitive practices in the electricity sector. the abuse of market power (dominant position), in particular exclusionary abuse aimed at harming the dominant operator’s competitors and preventing them from competing effectively in the market. For the purposes of assessing whether said rules have been breached, the Portuguese Competition Authority bases its decisions on the interpretation of said legal provisions coupled with support of precedents (Portuguese and European) from regulatory practice and decisions in prior infringement proceedings and from court rulings. in certain cases where the Portuguese Competition Authority suspects anticompetitive practices, notably in cases not involving restrictions by object, informal negotiations between the Authority and the companies involved may be held with the purpose of designing commitments to remedy and put an end to said anticompetitive practices without the imposition of fines. Decree-Law No. 138/2014, of 15 September introduced a legal framework to safeguard strategic assets essential to ensure national defence and security and to guarantee the supply of services fundamental to the public interest related to the energy, transport and communications sectors. Under the legal framework, a change in energy utilities’ control structure involving direct or indirect control by a person or persons from a country that is not a member of the European Union or the European Economic Area may be denied by the Portuguese government under certain circumstances if there are real and serious reasons to believe that national defence and security or the safety of supply of energy are at risk. Interconnectors with other national transmission networks are constructed and operated by the TSO, pursuant to the attributions granted to it under the respective concession agreement. Interconnectors depend on bilateral or regional agreements for their construction because they are by definition cross-border. In the European Union, in particular, interconnectors are planned by a grid development plan prepared by European TSOs (through ENTSO-E, the European Network of Transmission System Operators). In this respect, several interconnectors may be deemed as being projects of common interest (Portugal-Spain energy corridors are included in this category) pursuant to Regulation (EU) 347/2013 of the European Parliament and of the Council of 17 April 2013, which sets out that said projects are granted ‘priority status’, entailing streamlined licensing procedures and, potentially, access to incentives and European financial assistance. As stated above, the TSO must take into account the projects envisaged by this pan-European network development plan in its own plan for the transmission network, the PDIRT. EU electricity cross-border flows are governed primarily by Regulation (EC) No. 714/2009 of the European Parliament and of the Council of 13 July 2009.
general principles of congestion management. In accordance with said Regulation, fees applicable by TSOs in particular must be transparent, take into account the need for network security and reflect actual costs incurred insofar as they correspond to those of an efficient and structurally comparable network operator and are applied in a non-discriminatory manner. Tariffs must also be non-distance related. From a regulatory perspective (ie, not taking into consideration company or tax law issues) restrictions on transactions between utilities and affiliates apply to players in the electricity value chain which are integrated in vertically integrated companies, in particular the TSO (if the latter had been certified as an ‘Independent Transmission Operator’, pursuant to the provisions of the Electricity Directive, which is not the case) and DSO, pursuant to unbundling obligations implemented by the Electricity Directive. a DSO that belongs to a vertically integrated utility must have the necessary human, technical, financial and material resources to operate, maintain and develop the network, and it must have effective and independent decision-making power relative to the vertically integrated utility. ERSE has powers to monitor compliance with the aforementioned rules concerning restrictions on transactions between utilities and affiliates and to initiate misdemeanour procedures in case of breach of such rules. Even though Portugal has been quick to encourage renewable energy generation, the government has yet to approve the regime that will establish the new ‘post feed-in-tariff’ guaranteed remuneration regime for renewable energy generation. This topic is particularly relevant considering both the European Commission’s proposal for the Renewables directive in the context of the above mentioned package and its Guidelines on State aid for environmental protection and energy for the period of 2014-2020. In any case, there are currently renewable energy projects (notably solar) that are now being developed without guaranteed remuneration (and with third-party financing secured). 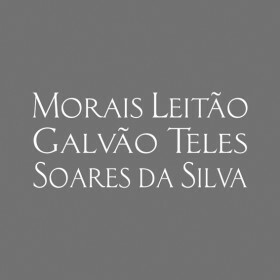 Electricity generated by these projects is being sold via bilateral power purchase agreements or wholesale in regulated markets..
Morais Leitão, Galvão Teles, Soares da Silva & Associados (Morais Leitão) is a leading full-service law firm in Portugal, with a solid background of decades of experience. Broadly recognised, Morais Leitão is a reference in several branches and sectors of the law on national and international level.